Author Sherry Gammon : Fire and Ice Blog tour! 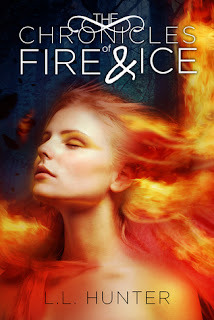 Fire and Ice Blog tour! I'm excited to be part of the Fire and Ice Tour! This book looks amazing! After reading more about it, it has moved to the top of my MUST READ NOW pile! The world is changeing as we know it, the human race is dwindling, but so are the angels. In order to preserve their bloodlines they have bred with humans, creating a new race called Nephilim. But there is one race that is more endangered than humans or Seraphim, Archangels. I am an Australian author who began writing when I was fifteen or sixteen, originally song lyrics, but then moved onto fanfiction when I was nineteen. Having published over 20 stories online. One of which was nominated for an award. I have also written, directed and starred in two original plays entitled, “No Frills Airlines: Flight 123,” and the sequel, “No frills Airlines: Come Fly with Us.” The latter of which was a musical. I have studied everything from veterinary nursing, forensic science and dramatic arts but have always known my true calling was writing. My hobbies include, writing my books and scripts, reading, singing, acting, directing, watching movies, 50’s fashion and playing with my animals. When I am not writing I can be found reading somewhere comfortable with one or both of my ‘furbabies’. Barnes and Noble (paperback only at this point- if you want a nook copy please click on "request from publisher"
All I Want! LOVED this anthology! !